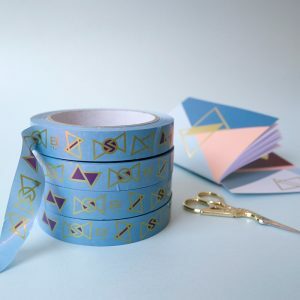 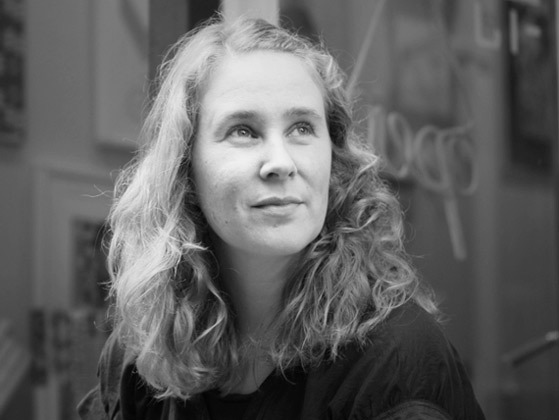 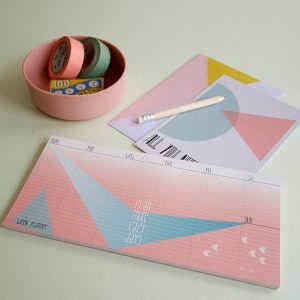 In early 2005, Bibi de Lang founded BL-ij to fulfill her need to design products combining her passion for graphics, beautiful colors, patterns and sleek lines. 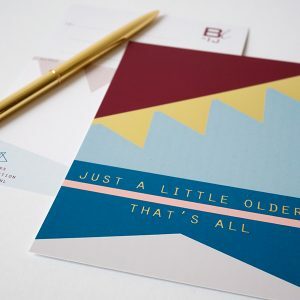 The name BL-ij is derived from the Dutch word Happy. 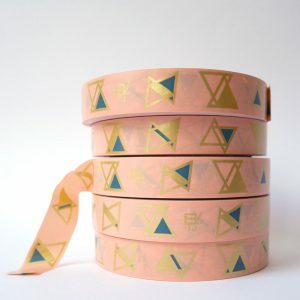 In a time of mass production and disposable culture Bibi designs for those who appreciate exceptional products and craftsmanship. 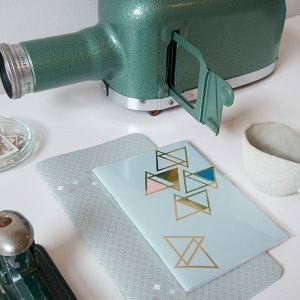 All products are handmade in her own studio, therefore a high quality is guaranteed. 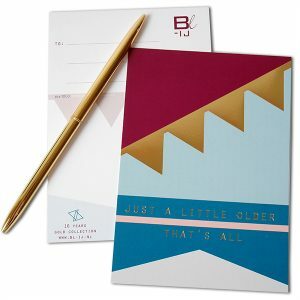 BL-ij postcard with gold foil. 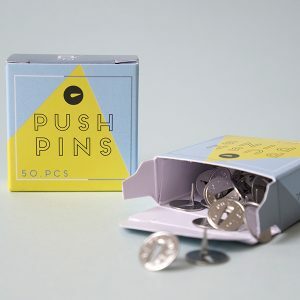 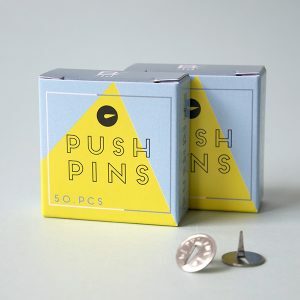 Vintage push pins in a cute box. 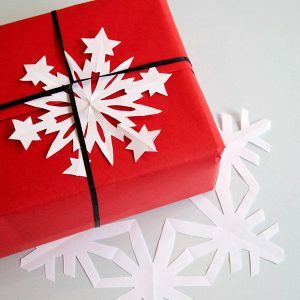 Make your own paper snowflakes with these triplex templates. 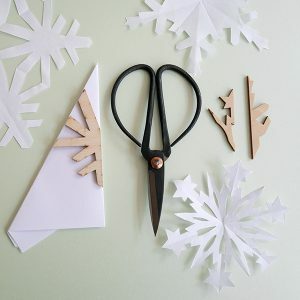 Use these three shapes or just one and vary in paper to make a custom made garland for every party! 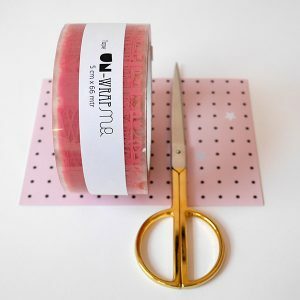 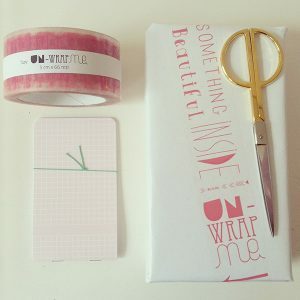 Tape UN-wrapMe reveals a bit on the outside, that something beautiful id inside! 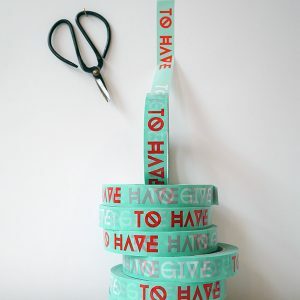 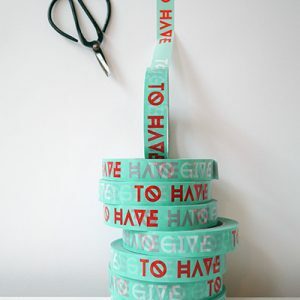 Mint green tape contains the words ‘to give to have’. 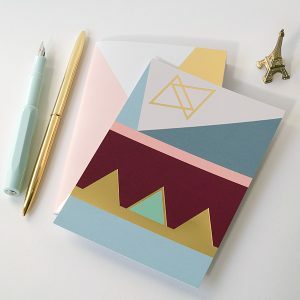 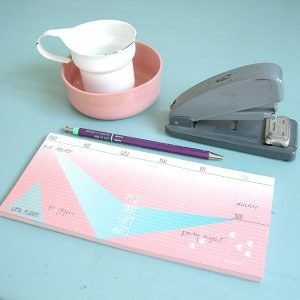 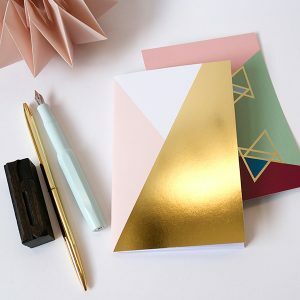 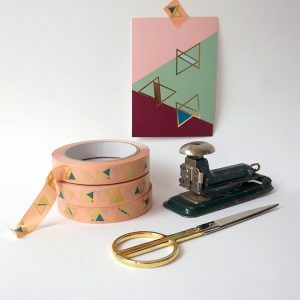 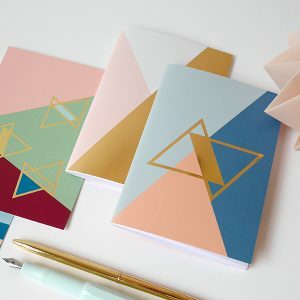 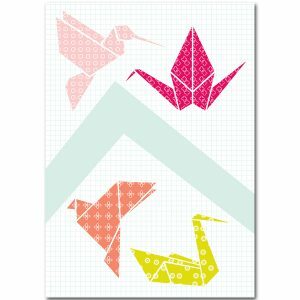 It is a festive print of golden triangles on a pink base. 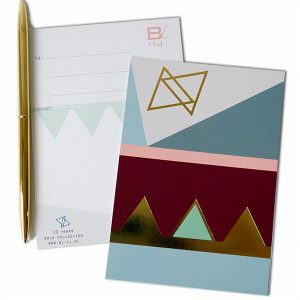 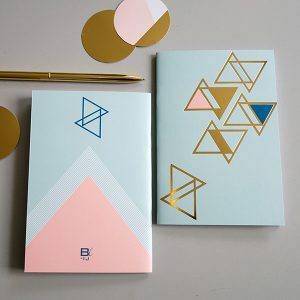 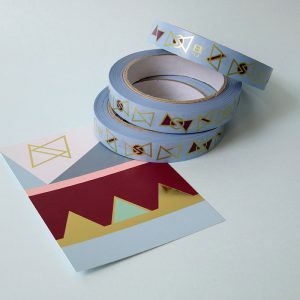 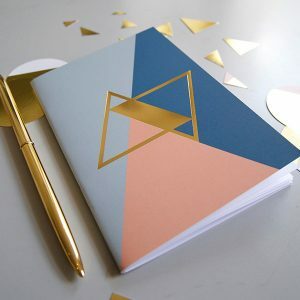 It is a festive print of golden triangles on a blue base. 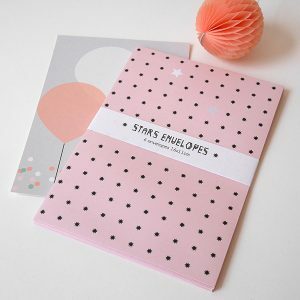 Set of 6 envelopes, pink with black stars. 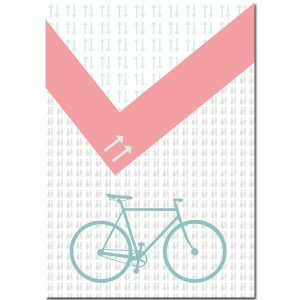 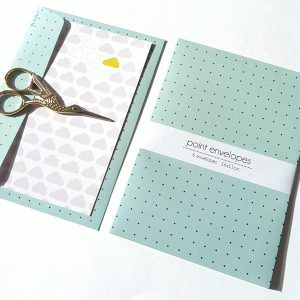 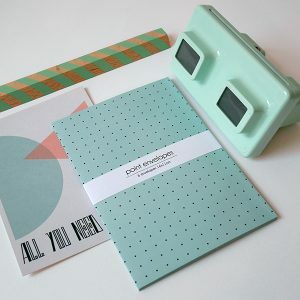 Set of 6 envelopes, mint with black dots. 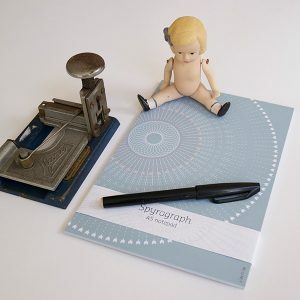 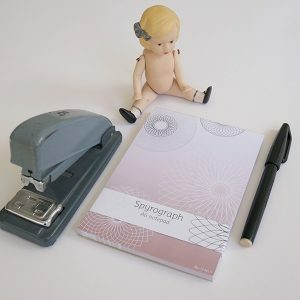 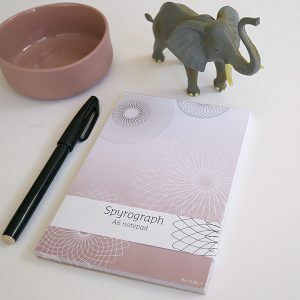 The spirograph is back on this notepad, small and big circles on a gradient page. 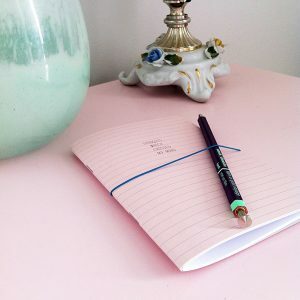 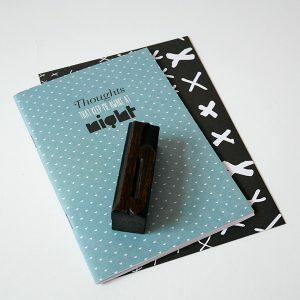 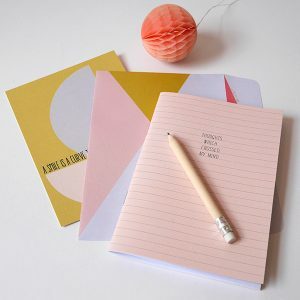 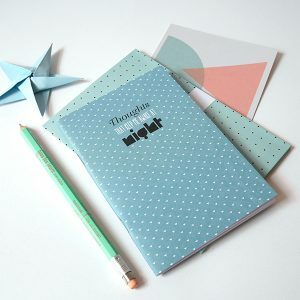 Notebook to keep next to your bed for all those thoughts that keep you from falling asleep. 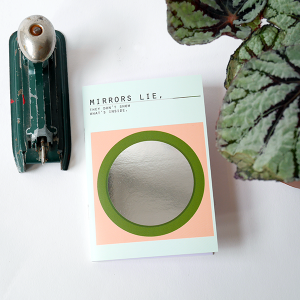 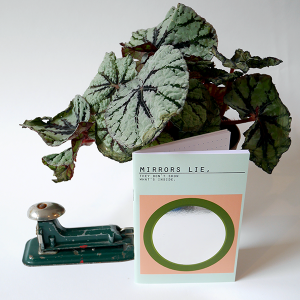 The image we keep up ourselves or our real thoughts, save them behind the ‘mirror’ of this notebook: Mirrors lie, they don’t show what’s inside. 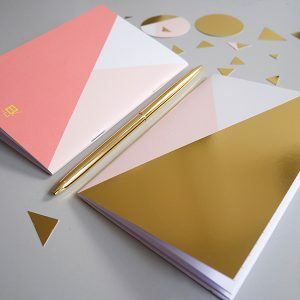 Write your golden moment in this notebook, a moment you want to cherish. 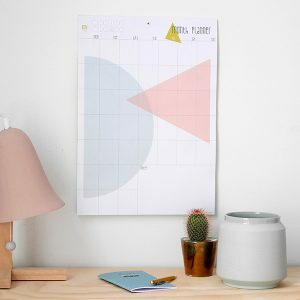 For one orderly week, use this week planner! 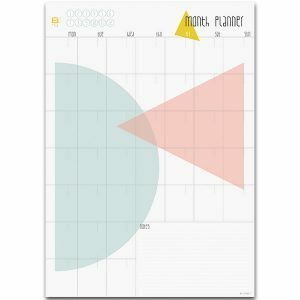 For one orderly month, use this month planner!